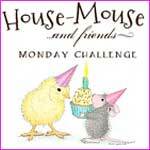 Hos Dorte: M for Mice, a DT card for ABC Christmas Challenge. Gorgeous card with that lovely Henry, Dorte! I love blue and white Christmas cards and this little angel mouse is adorable. Thank you for joining us at Winter Wonderland. A very cute Christmas card, love the image. Thanks for joining us at AYLI this week. 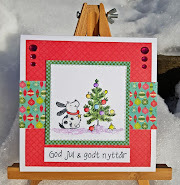 A super creation for our theme this month Dot, many thanks for sharing with us at Stamping Sensations challenge. Hi Dorte, this is a beautiful card - Henry is super cute and I love how you have coloured him. Your card design is gorgeous too - I love the blue colour theme you have used. 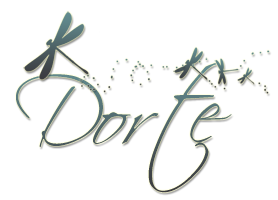 Cute little mouse and beautiful card Dorte. Thank you so much for joining us at Winter Wonderland. Very sweet card. This squirrel reminds me of cat child of my parents. 100% of innocence, and in the eyes of the characteristic sparkle :-) Thank you for joining us at HLS.